Limestone is a non-foliated metamorphic rock composed mostly of calcite (a crystalline form of calcium carbonate). Etymology: The word “marble” is colloquially used to refer to many other stones that are capable of taking a high polish. Our most commonly requested service is limestone honing and polishing. In some cases you may merely need to polish your limestone floors to achieve a shine like new providing it has been well maintained. For our clients who like their limestone to look better than new, inquire about our Diamond Polishing service. Our Diamond Polishing is our elite service which leaves your limestone looking like a glass mirror for a fraction of the cost of a newly installed limestone. Our limestone cleaning process typically involves the use of our high pressure hot water extraction unit (up to 1200 psi) providing for the most effective cleaning method for your stone. Effective and thorough cleaning is crucial for a smooth looking uniform finish and proper sealing. 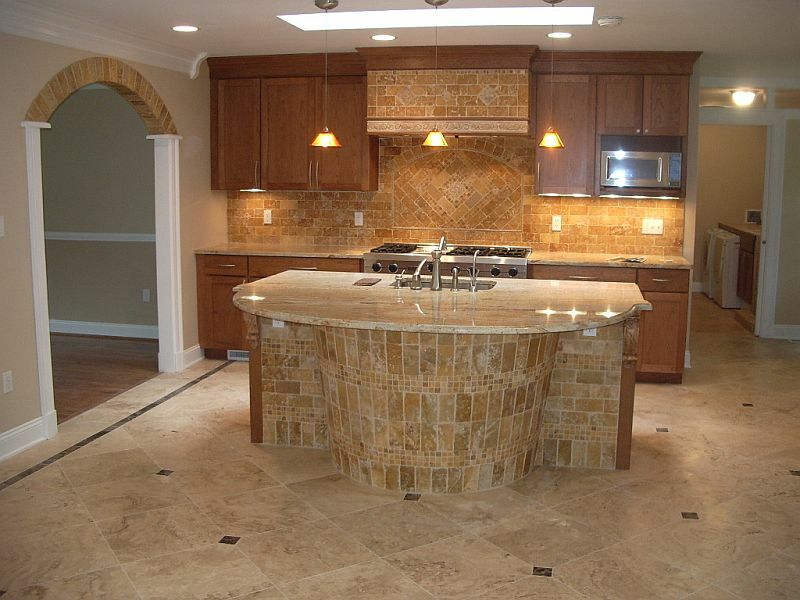 Our unique state-of-the-art cleaning process will yield you MAXIMUM soil removal in cleaning your limestone tile. Have you noticed some of your tiles are higher than others? Do you want your floor flattened to improve the aesthetics, keep from chipping the edges, and facilitate limestone cleaning? Peak Floor Solutions can grind away the excess limestone to restore a flat level surface using the latest state-of-the-art machinery in conjunction with diamond abrasives and a natural polishing compound. Never do we use coatings or a “crystallization” process as many companies do. Have you noticed dull areas in your traffic areas? This is typically associated with what is commonly referred to as wear patterns, scratches, etches and so forth. Peak Floor Solutions can repair these surfaces by either “honing” or polishing your limestone to eliminate these blemishes. The surface is then polished or honed to the desired finish leaving you with the memories of your new floor once again. We use high grade penetrating (impregnating) solvent based sealers to seal your limestone surfaces. Their function is to absorb into the pores of the stone and fill them up. Tight pores help keep spills on the surface so they won’t soak in. Although penetrating sealers are not bulletproof, they are essential in keeping some acidic spills on the surface to prevent acids from eating away the underlying layers. This insures the resulting etch, or dull spot, can often be re-honed with the proper abrasives. Common liquids containing acids are: Citrus, vinegar, wine, soda, some perfumes and medicines. Both photos are of Travertine (same is applicable with Limestone) with a topcoat sealer full of scuffs. Topcoat/surface sealers scratch and scuff much more easily than the stone itself. They will also flake, peel, and if applied too quickly can trap air bubbles and dirt underneath. This leads to a dirty hazy looking floor which most homeowners are unhappy with in a short time. Do you have a chip, crack or broken marble tile? Peak Floor Solutions often times can repair your tile and blend it in with the surrounding tiles to match the surrounding surface. You deserve to have your floors, counter-tops and other natural stone and tiled surfaces looking beautiful and elegant again. Professionally clean and enhance your surfaces so you can enjoy the everlasting beauty of your polished or honed limestone tile. If your having problems with tile and grout cleaning, or natural stone …we will get it looking clean and new again. That’s a promise! Give us a call today at (770) 499-1151 or click here to receive your free, no-hassle quote for service.